Oil prices (WTI) hit $60 on last week and is now up 30% year-to-day. One week ago, OPEC canceled their planned meeting in April, effectively extending supply cuts that have been in place since January until at least June. Prices have been further supported by U.S. sanctions against oil exports from Iran and Venezuela. 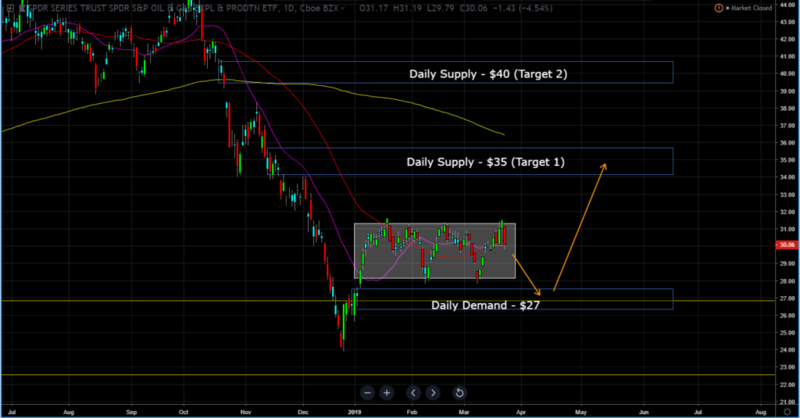 Two weeks ago, I wrote a post about oil and that the next stop was $63. Oil At 4 Month Highs…What’s Next??? 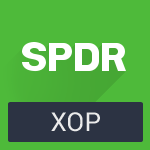 One way to get involved with oil is through the SPDR S&P Oil & Gas Exploration & Production ETF, XOP seeks to provide investments and exposure to the oil and gas exploration and production segment consisting of Integrated Oil & Gas, Oil & Gas Exploration & Production, and Oil & Gas Refining. 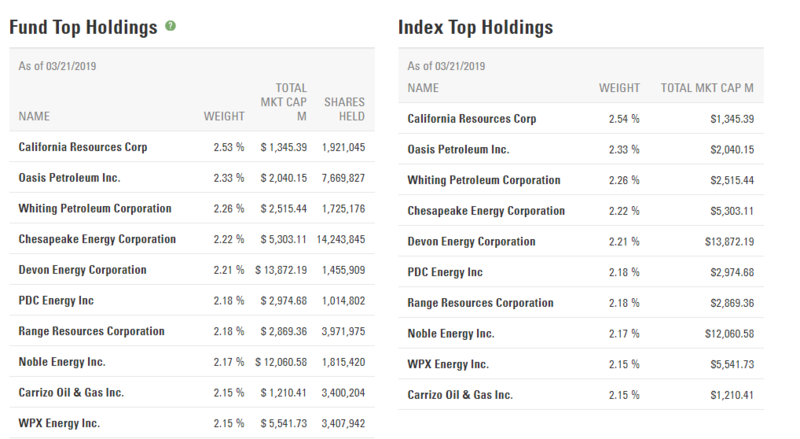 Let go to the charts to see how high XOP can go over the next 3-6 months. 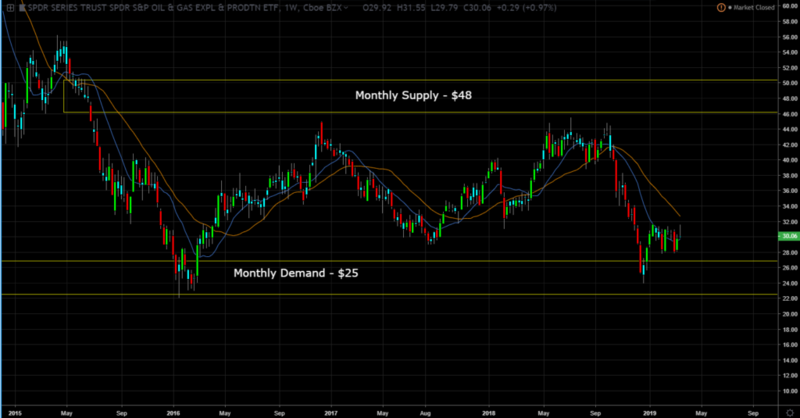 Monthly Chart (Curve Time Frame) – monthly supply is $48 and monthly demand is $25. Weekly Chart (Trend Time Frame) – the trend is sideways. 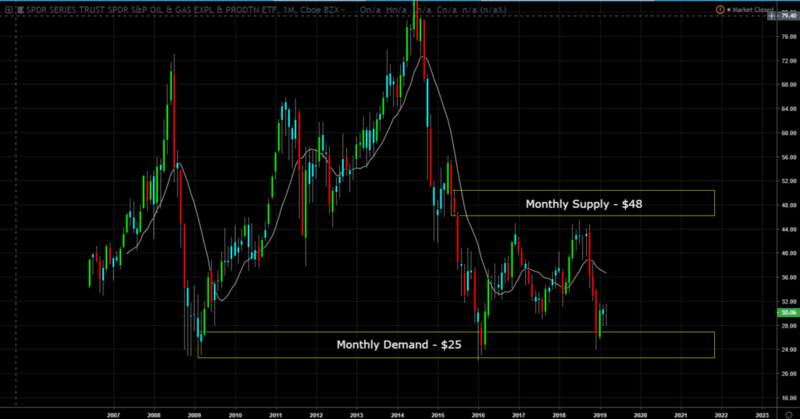 Daily Chart (Entry Time Frame) – price has been in a $3 range since January. But since price is lower on the bigger timeframe range, the chart suggest if price pulls back to the daily demand at $27 to go long with a first target at $35. You know, Sometimes it just Works. $EOS Spike! Called a few hours ago. We keep your data private. Are you Buying $NFLX or $DIS ? Buy crypto now! 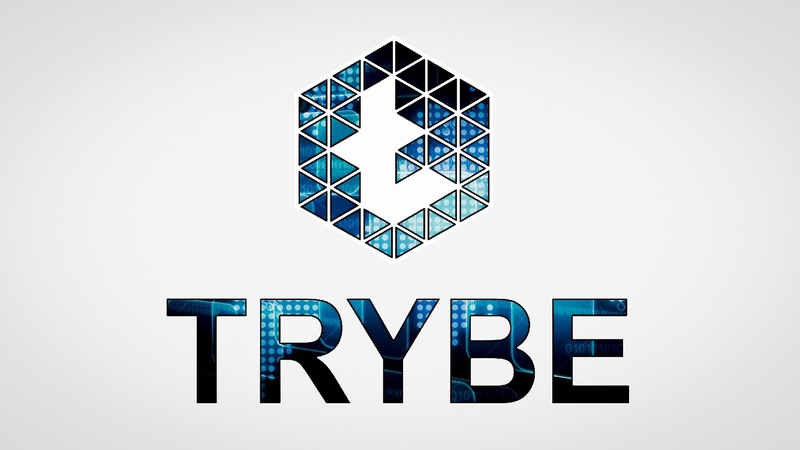 – Like this: | TIMM on Diversify!